La Via Ferrata Clécy opens its doors! Notice to thrill: The town of Clécy installs the first Via Ferrata Lower Normandy on one of the cliffs. 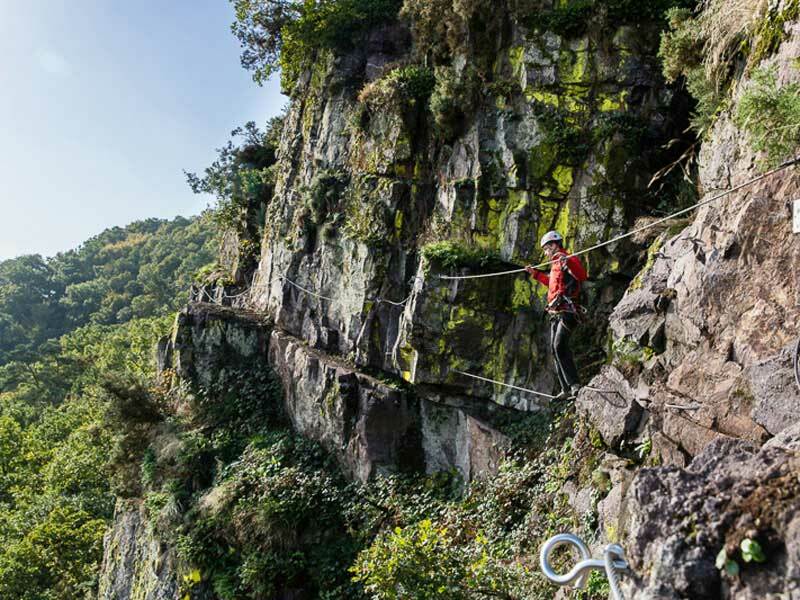 Halfway between hiking and climbing, the Via Ferrata of Cambronnerie offers a unique and playful ride Suisse Normande. Via ferrata is an Italian word meaning railroad. Here in this case, it is a course that “ferratists”performed at the same rock wall, using bars and metal pallets, rope bridges and gateways. That of Clécy is 250 m, with a height difference of 70 m and a view breathtaking on the viaduct and Orne. Via Ferrata of Cambronnerie Clécy opens from May 1st. On this occasion, a temporary zip line 350 meters, in partnership with the collective “Tyrolean” will be installed from 4 to 12 May 2013.